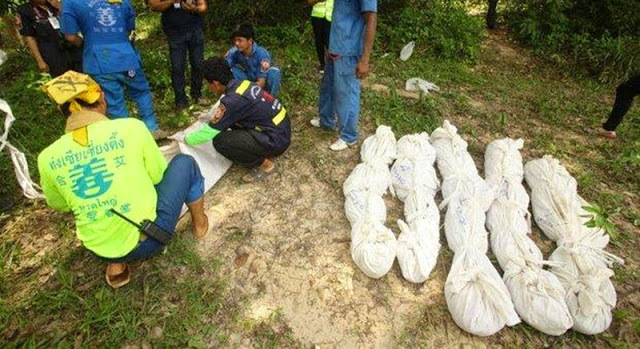 The continuing revelations about official complicity in the deaths of Rohingya refugees in Thailand, people who died where there was no humanity, is yet another blow to the country’s credibility, a credibility which was stretched to the limit already. Thailand can be a charming and welcoming country. Yes it does have beautiful beaches (but little environmental control) and tourists love it. But that is not a given. There have been so many murders, so many atrocities, so many fraud and rip-offs, and too many cover-ups, that even the world is waking up. In London’s old Fleet St, the former home of the British print media, three people dying in a car in Garrard’s Cross would knock 50,000 dead in floods in Bangladesh out of the newspapers. People do not think the same any more. We are much more of one human race, much more multi-cultural. Well that is except Thailand and possibly Burma and other countries in the undeveloped world. committing atrocities against and also kicking out an ethnic minority to another Buddhist country Thailand and we see absolute carnage. It is unthinkable to imagine how these people died. Its only commercial interests in Thailand and Burma which have kept the West muted. But the United States and European Union have had their say. ‘Get your act together, Thailand’ both on human trafficking and the slave conditions in the fishing industry. The world was quite silent through the War on Drugs, and the Tak Bai and Krusqe mosque massacres. Thailand is now running the gauntlet of shame. Thailand’s chief of police General Somyot Poompanmoung has been forced to admit a local mayor and up to fifty policemen may have been involved in the latest atrocity. He is reported as saying: ‘Heads Will Roll’. No surprises here. But wait. It does not end there . Who is to believe that? But will they get to the bottom of it? Will people be seriously punished? Well nobody has for much else. ‘Heads will roll’ is just a figure of speech. Thailand, which allegedly has a free press (but not really; journalists self-censor to stay alive) usually rounds on its critics. Denials and attacks are usually the order of the day. But the country’s rulers military and otherwise have been caught out too many times. So how did these Rohingya get to Songkhla? By boat of course and truck. They did not trek all the way through Burma. So where was the Thai Navy? Turning a blind eye, aiding and abetting, or did they just miss them? Either way it’s not good. But of course the Royal Thai Navy was rounding on its critics. 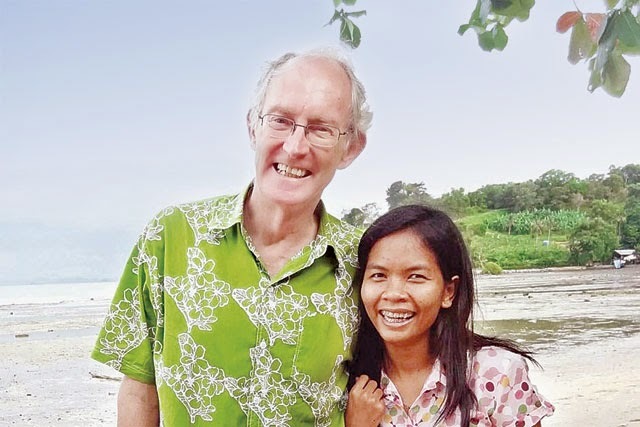 In this case they were journalist Alan Morison and Chutima Sidasathian of Phuketwan who they have taken to court on criminal libel and Computer Crime libel cases – for impugning the Navy’s honour – in its dealings with the Rohingya. Honour? The Royal Thai Navy itself gave film to Sky Television showing one of their vessels towing Rohingya out to sea with no supplies – not realising the scoop they had given away. That video went worldwide. And that is the point. They did not appear to understand the word humanity. They did not see they were doing anything wrong. And all this while Thailand puts our teary promotional videos extolling its kindness and compassion. Compassion there is. But it comes from individuals not it seems politicians, generals or public officials.They just talk about it. Once again Alan Morison and Chutima Sidasathian are on the front line reporting this story. If their trial proceeds it’s going to be an absolute farce and the world will be watching as Thailand attempts to condemn two journalists doing their job well – who are heroes for standing by their principals in the face of what only Thailand can throw at the truth. The Royal Thai Navy could do better re-reading the Five Precepts – buy a new set of binoculars and perhaps learn how to operate a working compass, radar, and GPS to see if they can find more Rohingya and next time offer them succour. As a pre-emptive, proactive strike, I choose to be anonymous, while writing somewhat controversial books under the radar, well sort of anyway.. If the Navy wins the case over Phuketwan, it implies that it will be ever dangerous for people like me to do what I do, like tell the truth. As my wife is from Thailand, I go there time and again, and would prefer to come home in one piece. That may be too much to ask if the Navy wins and perpetuates the ugly status quo, in terms of media suppression in the Kingdom. The prosecution of Alan and Chutima is a farce, a disgrace and a shameless act of bastardry . All they've done is reveal what everybody knows. Police, officials and people in uniform have been complicit in human trafficking. It's time for Thailand to stop procrastinating, scapegoating and making excuses. A Thai crackdown usually follows 5 distinct steps. 1. Wild enthusiasm, table thumping and a call for heads to roll. 2. Slow disenchantment when it is realized politicians or 'people of influence' are involved and will never be investigated. 3. Total despair when the case goes nowhere, nobody of importance is ever arrested or even investigated. 4. The hunt for suitable scapegoats starts. Preferably a poor uneducated person, even better if Burmese or Cambodians can be blamed. 5. Promotion of the guilty and prosecution of the innocent.